Alan and Judy Gross and their representatives have been ramping up the pressure on the administration to do what it has failed to do to get him released from Cuban incarceration, negotiate. Right now the United States is insisting upon his unconditional release and dismissing the reasons for his imprisonment in Cuba. 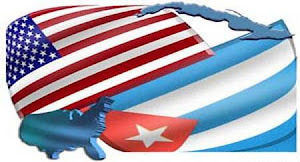 Cuba has stated publicly and unequivocally its desire and intention to resolve the Gross matter through negotiations. It has also made it clear that they will not just give him up and get nothing in return when the Cuban Five are still imprisoned in the United States. So the stalemate is set in place at the moment. Posturing will not solve the problem either, no matter how good or serious it looks. Tough talk and congressional resolutions are simply just what they are, talk and resolutions. Dialogue has not yet occurred. Usually when two sides in a dispute are willing to engage in a real dialogue, possibilities exist. The transformational challenge posed by Alan Gross' imprisonment and obtaining his freedom is that it forces us to reassess our inherent positions and assumptions about Cuba. There are four contextual hurdles that must be overcome in order to reach a solution that will bring Alan Gross home. 1) The United States policy with respect to Cuba is that the government of Cuba is illegitimate. We do not negotiate with illegitimate governments. Cuba may have leaders, the Castro brothers, who we do not like or agree with their political system, but is the government of Cuba really illegitimate? We are reminded on an annual basis for decades that our embargo against Cuba is an affront in the eyes of the community of nations. Our neighbors in Latin America also remind us that we cannot continue to maintain this failed policy if we are going to improve relations in the region. We isolate and embarrass ourselves further when the Cuba we say is illegitimate, is actually recognized throughout the world. It is based upon this general narrative that we justify the hostile and interference based policies that have not worked and hurt both the Cuban and American people for more than five decades. There is the ongoing battle for perception that Alan Gross did nothing wrong in Cuba. Well we may feel that way, but as with foreign countries, U.S. laws and policies do not apply in foreign countries. Period. We need to respect that, especially in Latin America. Have any doubts? Read our history with our neighbors. It is also on this narrative that the Cuban Five were caught and imprisoned. These five Cuban nationals came to the United States not to spy on the United States, but on fellow Cubans in south Florida who were organizing terrorist acts and bombings in Cuba. Have any doubts? Just google Havana terrorist bombings, Cubana Flight 455, and Fabio Di Celmo. Instead of our government working with Cuba to end these violent activities, the tables were turned and the Cuban Five were the ones who were imprisoned. Thus a dialogue and negotiation with Cuba will require us at the very least to suspend the belief that Cuba's government is illegitimate. Alan Gross' freedom will require us to get a reality check. However, that position does not sit well with hurdle #3. 2) The United States engaging Cuba is contingent upon the deaths of Fidel and Raul Castro. This macabre game of waiting for the Castros to die before we formally engage Cuba also does not make sense. And no one knows how long we will have to wait for that to happen. Longevity runs in the Castro family. Fidel and Raul Castro have an older brother, Ramon, who is still alive at 87 years old. What nation in their right mind maintains a death watch policy at the expense of billions in economic activity and millions of lives affected in both countries? Logic, reason, and common sense must prevail over emotion, hatred, and revenge. It is in the strategic and national interests that the United States engage Cuba the way it is now instead of waiting for the future. That is the proposition that must be debated successfully. Alan Gross' life and the lives of other human beings and their families hang in the balance. 3) There is a bipartisan and well esconced hardline pro-embargo Congressional cabal that is the firewall that keeps this issue under control. It remains to be seen where two newly elected Cuban American members, U.S. Senator-Elect Ted Cruz (R-Tx) and Representative-Elect Joe Garcia ( D-Fl ) will stand concerning this issue. Rep Wasserman-Schultz, the DNC Chair and a Jewish American, is included in this list because of her longstanding political alliance with the Diaz-Balart family and hardliner campaign financial support. Remember, its only about votes and money. Always. President Obama will have to be willing to go over the protests of these Democratic members and stand up to the Republicans to say enough is enough and effectively break the logjam. He will have to make a choice of whether to use his power to resolve this crisis definitively or capitulate to the hardliners. President Obama will have another opportunity to put his Nobel Laureate status to work. The only group that will curse an exchange of Gross for the Cuban Five and resetting U.S. Cuba relations will be a very small minority. President Obama has the power in his grasp to resolve this situation and bring immediate relief to the Gross family, especially since he is entering his second term and did not need Florida to win his re-election. The only political leverage these Congressional members have on the President is to hold up or stifle matters important to the Administration. That makes staff worry. However, real political leadership and courage require taking risks, especially if it is to save lives and bring relief to human beings who are suffering, and in this case, suffering needlessly. But has the President even been fully briefed in a 360 degree manner for him to properly assess and make up his mind on what he wants to do to get Alan Gross freed? Judy Gross and her allies should seek out President Obama directly at every opportunity and include these Congressional members in her protests for Alan Gross' freedom. They are blocking negotiation and dialogue. Let these Congressional members look Judy Gross directly in the eye and tell her that the United States will not negotiate for her husband's freedom in Cuba. 4) Human nature. No one likes to admit they were wrong or at fault, especially governments. Securing Alan Gross and the Cuban Five's freedom will require at a minimum, an implied admission of errors from one or both sides. Humility must triumph over arrogance. In diplomatic resolutions of crisis, opportunities are given or created to allow one or more sides to "save face". If President Obama is going upset leaders in the Democratic party, he has to get a really good deal from Cuba. Cuba has to make a deal well worth all the headaches President Obama will risk. Our blog post from May 2, 2012 dramatically portrays one such scenario. Only through direct negotiations and dialogue will each side find out what needs to be done to "save face". President Obama needs to designate someone he can trust to work this part of the puzzle out. May Alan Gross and his family cross these hurdles and gain his freedom. USCubaPolitics.com supports the resolution of this crisis and the freedom of Alan Gross and the Cuban Five. the cuban people are wonderful, friendly and resourceful. i have married my wife and am so in love with her due to her strength of character, abilities and her loyalty to me. al of her family are good people who suffer from the lack of oppurtunity imposed by the USA in blocking investemnt and would be more than happy with a more friendly face to the USA where many relatives are,.. OBAMA get rid of this stain on your country now. Tony, nice article but the four obstacles are a smoke screen to hide the real issue. The US cannot afford to have a free and sovereign nation such as Cuba. As dated and tired as it may sound, the real obstacle is only one; Imperial Power. History demonstrates that the US continues to behave as an imperial power throughout the world, where the law is what the US wants it to be and the reality is what the US says it is and manufactures it through the extensive media control. Examples abound as the "Spanish American War" and "Yellow Journalism" through the numerous interventions including recently in Honduras, to the so called war on "terror" , to ignoring international law and the continuing war against Cuba, and other governments especially in Latin America. The four obstacles mentioned in the article could be overcome by the willingness of our government to desist such needless policies conducted under the guise of democracy and national security. It is precisely our national security that is threatened and weaken by violating our own principles of fairness and freedom. you always speak so candidly and make coherent and salient contributions to what is sadly a sideshow of international rhetoric on a subject so close to my heart. great job, Tony.